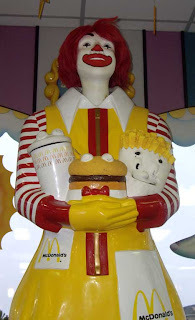 Ronald towers from above, ruthlessly ruling all within his culinary kingdom. 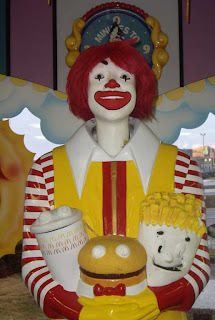 Gentle clown, or nefarious agent of consumer culture? 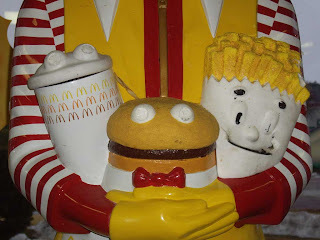 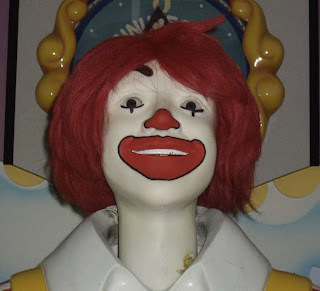 His anthropomorphic friends, abused to the point that they put out their own eyes to keep from witnessing the horrors they must undergo in Ronald's hands.